In a rare bit of good and pure news, Sony’s Tri Star Pictures announced Thursday that Tom Hanks is slated to play famous Pittsburgh television star Mister Rogers in a yet-to-be-titled film based on a story by former Esquire writer Tom Junod. A still of Hanks as Rogers, provided by Tri Star, can be found above. 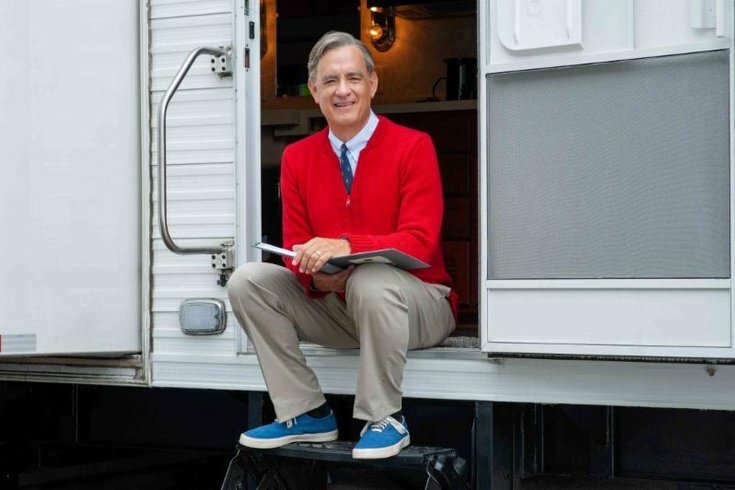 Two-time Oscar-winner Tom Hanks portrays Mister Rogers in Untitled Mr. Rogers / Tom Hanks Project, a timely story of kindness triumphing over cynicism, based on the true story of a real-life friendship between Fred Rogers and journalist Tom Junod. After a jaded magazine writer (Emmy winner Matthew Rhys) is assigned a profile of Fred Rogers, he overcomes his skepticism, learning about empathy, kindness, and decency from America’s most beloved neighbor. The film was written by Noah Harpster and Micah Fitzerman-Blue and will be directed by Marielle Heller. It will also star Matthew Rhys (“The Americans”); Susan Kelechi Watson (“This Is Us”) ; and Chris Cooper (“American Beauty”).